Emirates is shutting its Melbourne ticketing office as well as its city offices in Perth, Brisbane and Adelaide as it restructures its customer service offering in Australia. The changes take effect from April and the news comes after the airline recently announced it would suspend its Sydney-Bangkok service and its second flight into Perth. It will suspend flights EK 418/419 between Bangkok and Sydney from June 1 but will continue to service Australia’s biggest city with three flights a day non-stop to Dubai. Effective March 31, Emirates is also suspending EK 424/425 to Perth and serve the West Australian capital with a once-daily Airbus A380 service non-stop from Dubai. The Dubai-based airline did not say how many jobs would be lost as a result of the office closures but said they were the result of a new strategy that would see the “creation of new roles with greater responsibility in order to best serve their customer’s needs”. The number of offices airlines maintain in Australian cities has dwindled in recent years as the Internet has become more relevant and airlines more cost-conscious. “Emirates has been a major player in the Australian market for over 20 years. This kind of longevity is achieved by having the right strategy and team in operation, who are best placed to implement them,” Emirates Divisional Vice President for Australasia Barry Brown said in a statement. Brown said the changes would see its team “expand their skill sets and take on greater responsibility so that they can better meet our customers’ needs, focus on the areas that matter most to our business and remain professionally challenged”. “We remain committed to the Australian market and will be working closely with each office to ensure that this transition period is as seamless as possible,” he said. An Emirates spokesperson said the airline had developed its strategy after an extensive review of its Australian commercial operations and several external factors, including the strength of online channels and the airline’s relationship with travel agencies. Melbourne customers could continue to book tickets by calling its 1300 number or via its website. The airline did not answer questions about job losses or future plans to reduce services to Australia. 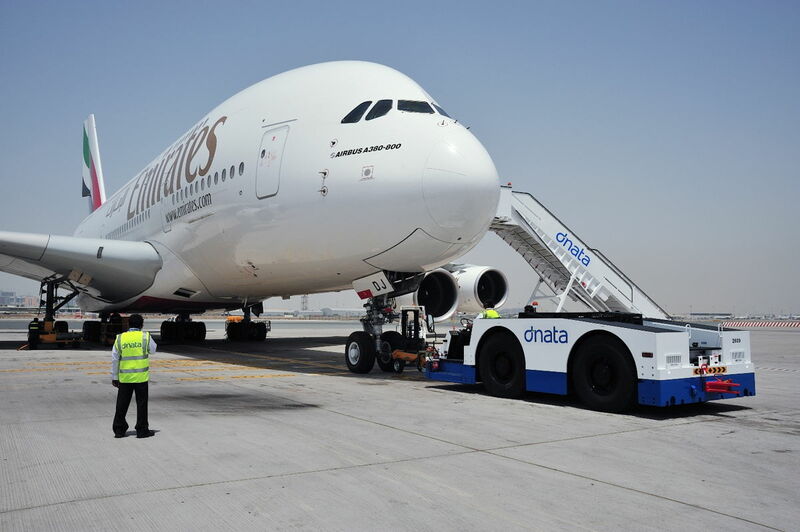 The Emirates Group, which includes airport services company dnata, employs around 5,600 people across Australia and estimates it last year contributed more than $A790 million to the Australian economy. Since starting services in 1996, Emirates says it has carried more than 36 million passengers while investing over $A97 million in Australian arts, community and sports sponsorships. The airline plans to cut flights by 25 percent between April 16 and May 30 due to the closure of Dubai International Airport’s southern runway. Emirates’ management in November warned the Gulf airline faced a tough second half after it posted an 86 percent slump in first-half net profit. In a related development, dnata opened a new 2000 sq.m, $A6.5m catering facility in Canberra this week with 30 percent more floor space than the facility it replaced.